Moonglow! (I'm singing that song in a chorus:) ) . What soft light on those majestic peaks. And just a hint of light on the buildings. Magical! You have to click on this to see the amazing detail bathed in the moonlight, and the ice halo? around the moon is a lovely bonus! A truly stunning mountainscape. 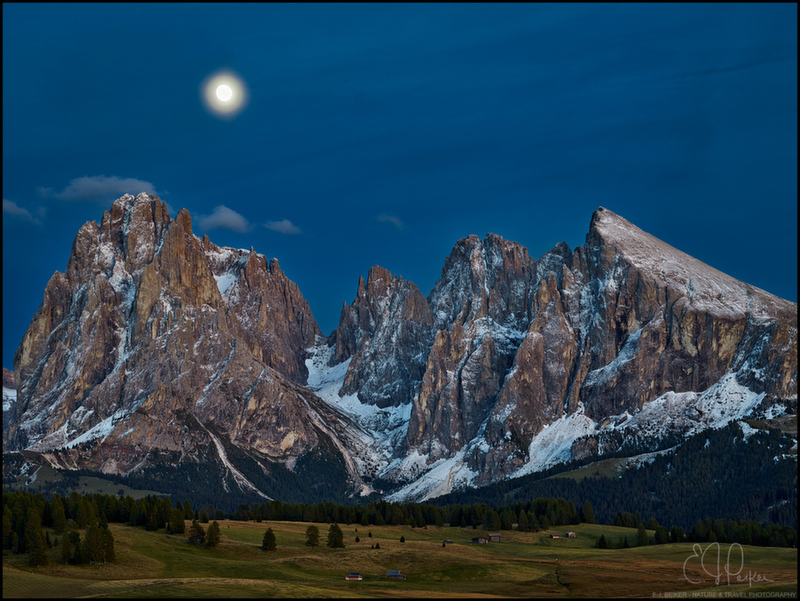 I would love to visit The Dolomites before I get too old to explore.